Scott Ernest joined Textron as a 29-year veteran of General Electric Company in May of 2011. 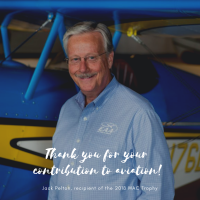 At GE he served as vice president and general manager, global supply chain for GE Aviation, a $16 billion leading provider of jet engines, components and integrated systems for commercial and military aircraft immediately prior to joining Cessna as Chief Executive Officer. Previously, Ernest was vice president and general manager, global services operations for GE Aviation’s $6 billion services business. His career at GE Aviation also includes several general manager roles ranging from overseeing its sourcing organization to responsibility for its North American operations and large aviation services businesses located in Singapore and at Strother Field, near Winfield,Kansas. “Scott is a talented global business leader who has strong expertise in the aviation industry,” said Textron CEO Scott Donnelly. Mr. Ernest is responsible for overseeing Cessna’s new product and service development, strengthening its manufacturing and sourcing operations, and intensifying its global expansion efforts. Ernest earned a bachelor of science degree in mechanical engineering from the University of Akron and a master of science degree in engineering from the University of Cincinnati. Since joining Cessna, he has presided over an expansion of the company’s service network in Europe and in China and the signing of agreements to assemble and sell Citation XLS+business jets and Caravan turboprops in China, as well. Cessna has also introduced several new models, including the Citation Latitude, new versions of the Citation X and Sovereign and the Mustang M2. Mr. Ernest will undoubtedly address Cessna’s prospects for the remainder of 2013 and progress on its new jet models. The luncheon will be held in the Grand Ballroom of the Doubletree Hotel by Hilton at Wichita Airport, from 11:45 a.m to 1:30 p.m. Reservations can be made by clicking the link above or by calling 641-5962. Cost to attend is $30 for members and $40 for nonmembers. For more information about WAC membership or the monthly luncheons please call 681-4491.